Everyone around the Bulls this season has been giving thanks for Lauri Markkanan, the breakout rookie forward who leads the Bulls in scoring. But has it become as Markkanen goes, so goes the Bulls? Pretty, pretty, pretty unfair to ask that of a 20-year-old rookie who only came to the United States a little over a year ago. But that may well be where this Bulls team is after Wednesday’s 110-80 loss to the Utah Jazz. At least until Zach LaVine can return from knee surgery. It was all those Jazz, who were playing fast as the Bulls played loose, a noisy Salt Lake City hall where only the Utah players seemed to be in a brawl. 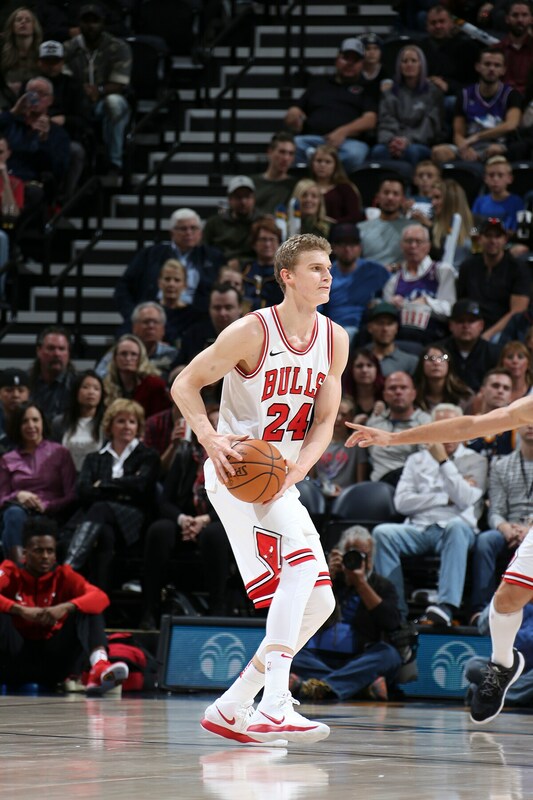 Markkanen, apparently stuffed up from flu as well, put up his second straight turkey, one of nine shooting and three points against the Jazz. That’s five of 26 and two of 13 on threes the last two games with Tuesday’s second half fade loss to the Lakers. That’s an eight-point scoring average for Markkanen, who has been leading the 3-13 Bulls this season in scoring and rebounding. That’s exceptionally rare for a rookie, but the seven-foot Markkanen has been a revelation. He’s been the best and most consistent player on the Bulls even as he spent the summer playing for Finland’s national team. Perhaps it’s all catching up to him, the full summer of competition and suddenly being relied upon to at least lead a Bulls team to be competitive. The November wall? As for the other guys, well there wasn’t much that went right in a game pretty much everyone agreed the Bulls were, if not humiliated, at least bullied and beaten. Bobby Portis off the bench for a staggering Markkanen had 14 points and eight rebounds. Kris Dunn had 12 points and a career best nine rebounds. 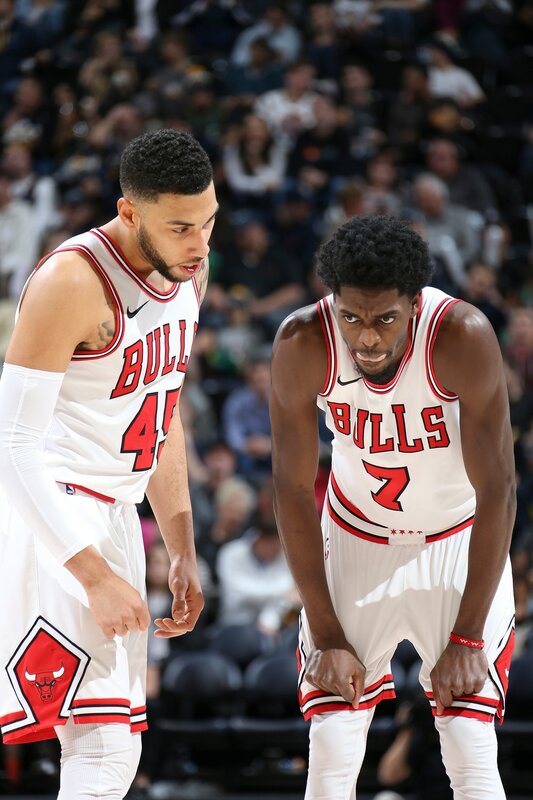 Justin Holiday also had 12 points, but yet another erratic shooting game at four of 11 after he started with back to back three pointers in the first quarter. That was about as long as the Bulls made it a game, trailing just 25-24 as Holiday had eight points. But he shot just one of four the rest of the game with Markkanen slumping and Denzel Valentine off a good shooting game against the Lakers one of five in the game for two points. Jerian Grant now backing up Dunn had one of his better sequences of the season, three consecutive scores with driving layups with the Bulls still making it a game at 38-38 late in the second quarter. 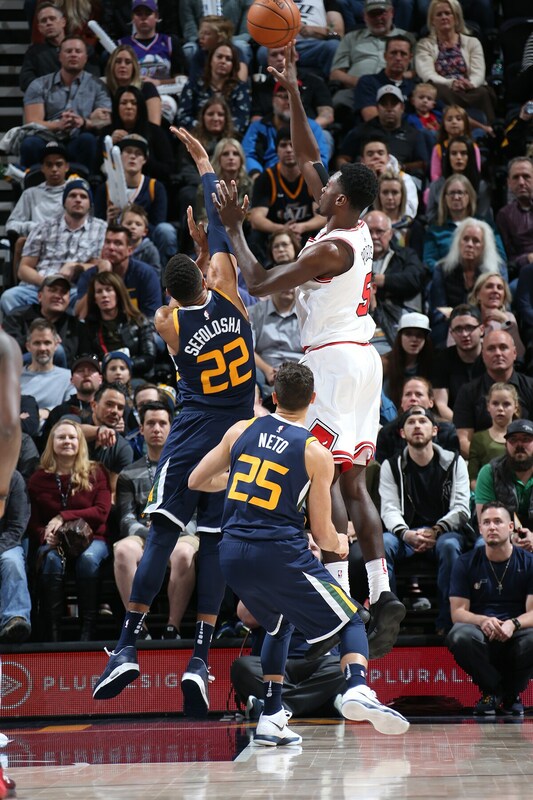 But the Bulls lost Rodney Hood and Joe Inglis a little too regularly after that as he led a 12-6 close to the second quarter that gave the Jazz a 55-46 halftime lead. The Bulls arrived in near mile high Salt Lake City about 3 a.m. after the loss in Los Angeles. So given the Bulls personnel, injuries and the road circumstances, perhaps the result was inevitable. Trailing 67-55 with about eight minutes left in the third quarter, one sequence probably summed up the game and what was to come. Dunn, regularly improving on defense, picked up in the backcourt. The Bulls hope Dunn’s aggressive play can inspire others on the roster. Dunn poked the ball away from Ricky Rubio and took off for the layup. Dunn tried a reverse layup on a two-on-one with Markkanen running with him. Jonas Jerebko blocked Dunn’s attempt as he didn’t get much off the floor. Derrick Favors with 23 led Utah with Rudy Gobert out injured. The Bulls were five of 21 on threes and continue to fire away from deep despite the poor percentages of late. They’ve continued to have difficulties taking advantage of mismatches when teams switch, the switch attack Hoiberg talks about. Holiday’s shooting has been no holiday. Dunn has penetrated more effectively, but doesn’t always look to finish strong. Grant had his best game driving the ball, seemingly playing a bit more relaxed off the bench. But without Markkanen’s range shooting, those lanes close up quickly. Kay Felder and Paul Zipser got looks. They should have had fresh legs, after all. But the Bulls, especially with Markkanen scuffling, lack the offensive player to carry a team for a stretch of possessions. They hope it can be LaVine, who at least has begun practicing with the team. Next for the Bulls? Golden State coming off a loss. Great! Perfect for the day after Thanksgiving. Is anyone from the Warriors asking about leftovers?